A CT Scanner and related equipment was partially funded in 2017. 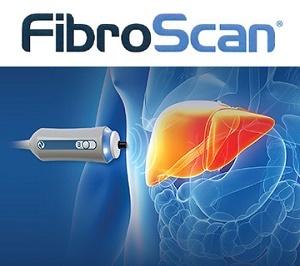 The next planned addition is a Fibroscan. It is based on ultrasound technology and allows the accurate diagnosis of early cirrhosis when treatment can effectively be instituted. The cost of this machine is around CDN $135,000. This would be the only machine in Cameroon and thus serve a very large number of patients. All of this is part of developing a treatment program for hepatitis B and C as part of the national hepatitis program. In this respect, we are working in collaboration with a gastroenterologist at the Mayo Clinic. This will eventually be a program on the scale of the HIV programs that we run since 10% of the population of Cameroon has chronic infection with the hepatitis B virus and about 3% have hepatitis C. The end result for many of these patients is liver cirrhosis or liver cancer. Please go to our Donations Page to see the methods that you can use to help with these funding needs.